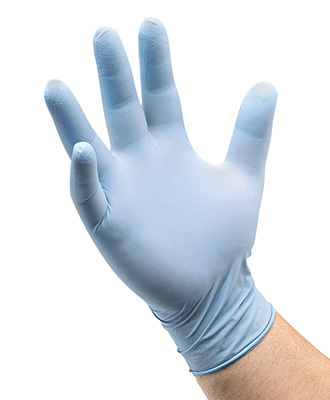 Powder-free gloves are made from synthetic rubber for greater resistance to punctures, cuts, and snags than natural rubber or vinyl. Preferred substitute for people allergic to natural rubber latex. Dispenser box contains 100 each. Meets FDA and USDA specifications for food contact.